Growing conditions in Central Texas can be challenging. There are lots of variables to consider when attempting to nurture a beautiful lawn. We’ve tried to take out some of the guesswork for you by summarizing our top blog posts and linking to them in one place. Good luck! And, as always, we’re here to treat your lawn like our own when you need us. For sustainable, healthy Central Texas turf, we need to consider things all sorts of things like shade, watering amounts, soil conditions and more. To give your lawn the best shot, we recommend these grass options for folks living in the area. We’ve outlined the Pros and Cons of these grass-types here. Once you know what types of weeds you’re working with, you can address them in your lawn or call the cavalry (us) in to get rid of those pesky weeds. In Texas, there are two main types of weeds: broadleaf and grassy. From towering thistles to sticky chickweed, come early spring, you can expect to find all sorts of Broadleef weeds. Grassy weeds can be a little more difficult to identify than broadleaf weeds because they can resemble regular turf grasses. We’ve got an extensive guide, complete with pictures, on the most common weeds you’ll find, as well as tips for removing weeds on your own. To cut your lawn, all you need to do is push the lawnmower in a straight line, right? We wish this were the case! If grass is cut too short you might make it susceptible to damage from the summer sun. If the lawn grows too tall, it could develop a fungus. To help your lawn grow healthy turf, we’ve outlined the seasonal mowing heights for Saint Augustine and Bermuda. Watering the proper amount helps your lawn grow stronger roots while reducing run-off. While the amount varies throughout the year, the standard amount of water your lawn needs is roughly an inch of water per week. Watering early in the morning is best, between 4:00 AM and 6:00 AM. If you water by hand, we encourage you to do so before 9:00 AM. Your leaf blades will look dull in color and begin to roll when water is needed. In fact, your turf could currently be host to hundreds of grubs right now, which destroy your lawn at the roots, leaving unfortunate (and ugly) brown patches in your grass, before killing it entirely. To determine if you have a grub worm infestation, click here. Not sure what aeration is and why it matters to your lawn? Check out the video to the left. The best time to aerate your lawn varies depending upon the type of soil and grass you have. Clay soil should be aerated twice a year – once in the spring and once in the fall. Sandy soil should be aerated once a year, either in the spring or the fall. For warm season grasses, like those you find in Texas, you should aerate in the late spring or early summer. *BONUS* Check out this blog for a list of cities that offer rebates to residents that aerate their lawn. There are many advantages to using organic fertilizers. That’s why we, at Emerald Lawns, use them as often as we can. We prefer them. However, there are some disadvantages too. 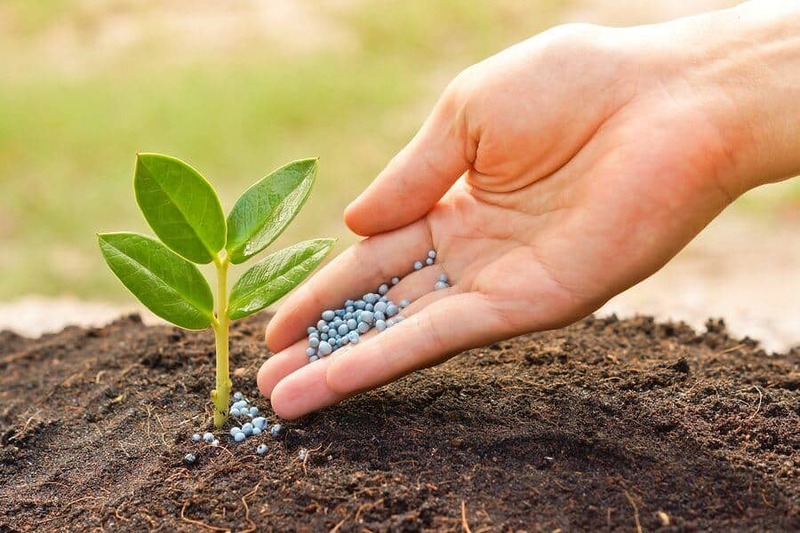 To learn more of the advantages, as well as the disadvantages of organic fertilizers, click here. Well, that concludes our 7 Pro Tips for Healthy Central Texas Lawn. We hope you found what you were looking for. If you still have questions, we’re always happy to stop by for a free, no-obligation lawn evaluation. Just give us a call at 512.990.2199. “Emerald Lawns has the best quality products (that my lawn needs to look this great). What Sort of Fertilizer does Emerald Lawns Use? What about My Trees & Shrubs? What Lawn Disease should I Watch For?